Q: Can you tell me about a rule that you are not allowed to refinance a home if it was on the real estate market less than 6 months ago? I was told by my lender that since my house was on the market last September (it didn’t sell and I took it off that month) I would be unable to refinance until it was off for 6 months. What is the reasoning for this rule? A: If you are applying to refinance your primary residence, the lender’s underwriting guidelines provide that the loan will only be given to you if you use the home as your primary residence. If you have listed the home for sale, the lender has knowledge of your intent to cease using the home as your primary residence and does not want to take the chance that you’ll obtain the loan and then decide to sell or rent the home. The lender only wants to give you the loan if you will continue to use the property as your primary residence. Also, it’s expensive to underwrite and process the loan, and lenders don’t want to go through the expense of giving you the loan and have you pay it off a short time later. If six months have gone by after a home has been taken off the market, the lender then can view the prior listing for sale as too far in the past to affect the lender’s underwriting decision. 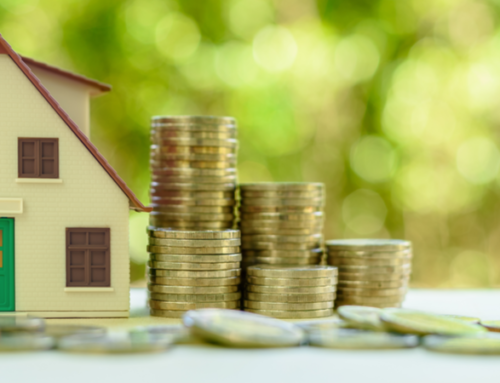 So, the lender can proceed to refinance the home and once again ask you whether you use the home as your primary residence and ask that you confirm that you will continue to use the home as your primary residence after the closing. Given the state of the real estate and financial markets, lenders are being extra careful in evaluating each loan. In past years, some lenders might have decided that a listing of a home close to the application time would not affect the application process, but in today’s market more lenders would view that as a negative. But you may find that “six months” is not a rule with every lender. Some lenders may be willing to refinance your home if the home has been off the market a shorter period of time. You should probably call around and talk to at least one other mortgage lender, one mortgage broker and your credit union, if you are a member of one, and find out what their guidelines are for your situation. You might also want to investigate an FHA loan. If you find out that another lender is willing to assist you in refinancing your property, you might decide to go with that lender and plan to stay in the home for a while.